Amitc’s ASC-Shield is a critical tool during routine operations and emergencies in command and control centre “- Quote , User of ASC-Shield’s solution. With companies and governments worldwide facing threats from terror organizations and a sharp increase in violence and crime, the ASC Shield security and Homeland Security (HLS) control system from Amitec Ltd. is an essential tool. Developed in conjunction with consultants of the Israel Security Agency, ASC Shield provides complete control and protection for organizational and municipal infrastructure, as well as for defense industries and civil installations. Advanced expert system for accurate and fast decision making, resource management and manpower allocation. Visually integrates all information from diverse systems, and presents it clearly and concisely on a single screen, in real time. A unified platform that provides visual oversight and minimizes response time. Vast amounts of information from a variety of HLS and public safety systems are overwhelming organizations, slowing their response time and decision-making processes and increasing their exposure to threats. ASC Shield visually integrates all information from diverse systems, and presents it clearly and concisely on a single screen, in real time. The system monitors, analyzes data and manages scenarios automatically, applying organizational policies and procedures. 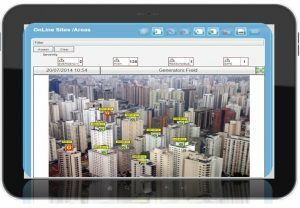 The system significantly shortens response time to potential threats (ASC Track technology) and allows ongoing online monitoring via the internet from any location, at any time with just one click. The ASC Shield utilizes a unified platform that interfaces flexibly. ASC Shield interfaces with all existing and planned systems and technologies in organizations of any size, including CCTV, access control systems, RFID devices, security systems, safety infrastructure (sewer, water, fuel), fire detection and hazardous materials systems, “safe city” systems and various GIS software. Applications: Governmental institutions, military installations, commercial centers and campuses are a case in point. Amitec Ltd. is one of the leading firms in the Israeli IT market . The company has developed advanced command and control systems designed for the industrial, agricultural ,security and energy applications.